Do you feel like you are achieving so much in life but not making a real difference? Do you feel in the dark about God’s purpose for your life? 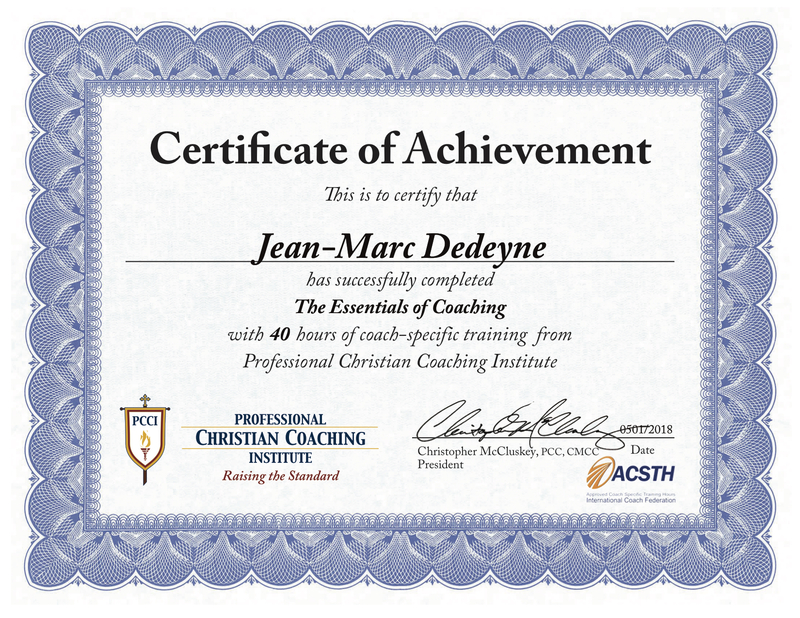 My name is Jean-Marc Dedeyne. I am based in Los Angeles and hail from the beautiful French Island of Martinique. My raison d’être is to inspire and lead those who are transitioning towards a more meaningful life to realize their God-given’s purpose. As a TEDx Speaker, Christian Life Coach and Author, I support, encourage and help Global and Entrepreneurial Minded Young Adults discern and move towards what God is calling them to do. I intend to be a catalyst for seeking encouragement, joy, truth, fulfillment, authenticity, peace, faith, love and purpose. My desire is to always work with a purpose and to facilitate my client’s growth in a compassionate yet focused manner. Why? Because we all need a good firm hand to walk with us along life’s path. To Help People Avoid the Pitfalls, I Succumbed to and Propel them Toward Their God-given Purpose and a Meaningful Life.